Roll on 2016! We love the sense of renewal that comes with the New Year: another year full of possibilities, opportunities and personal growth. Life has it’s ups and downs, naturally, but there’s something revitalising about the New Year. It’s a time to reflect on the year passed, a time to examine it, and see how we can make the next year better! But how can you make life a little bit lighter? We may not be a bunch of psychics, but the folks here at Meditation Relax Club are positive that 2016 will be a good one! We’ve put together ‘5 Good Habits To Take On In 2016’ so you can pump your life will positivity, happiness and easiness. There is a negative stigma around making your life a routine: but really what having a routine is, is stableness. When we get into a routine we sleep better, stay more focused, feel more secure. It can be a good thing. Make sure your routine includes some fun; organise fun activities with your friends, plan getaways, always instill happiness into your life! If there’s one thing everyone can agree on it’s that sleep is important, we feel pretty awful when we don’t get enough of it. It is recommended that we get at least 6 hours sleep, although 8 is ideal. It makes the rest of the day easier, especially the morning we most of us are falling asleep in our coffee. If you have trouble catching some z’s you can check out this guide on how to sleep better. Meditation has been scientifically proven to be extremely good for both body and mind. It’s been proven to boost your immune system and help you sleep much easier. This may be down to the fact that meditation can be used as a natural relief for anxiety, making you more of social person. It’s also been proven to beat depression. If you are unfortunate enough to live in the Northern Hemisphere then you’re probably finding the cold outdoors fairly unappealing. I don’t blame you for wanting to snuggle up by the fireside, hot cocoa in hand. But your body will thank you for getting up, and getting out! If you prefer to stay indoors, you can keep active with yoga as your form of exercise. The physical benefits of yoga are both external and internal, plus you don’t have to leave the house! Keep the common cold at bay and think in the long run when planning your food for the week ahead! We still have some time until the temperatures heat back up so let’s keep that immune system protected! Thankfully there is an array of yummy foods that help our bodies fight off nasty illnesses. Chicken soup, spinach, oats barley are all extremely helpful to boost your immune system. Want to know some more? We have ’10 Flu Fighting Food to Boost Your Immune System’. There you go guys. 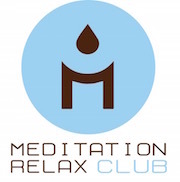 From everyone here at Meditation Relax Club we wish you the best year ahead!